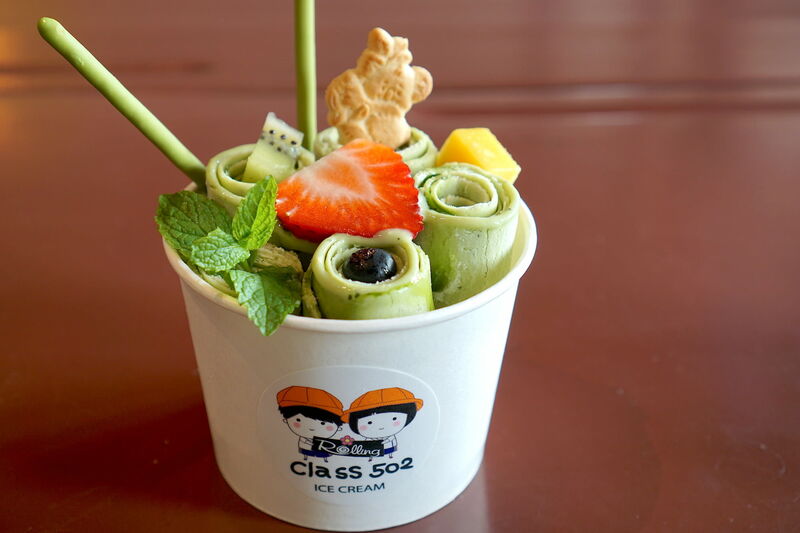 The latest novelty dessert to hit Chinatown may please pescatarians. Taiyaki ice cream beggars can't be taiyaki ice cream choosers. Few foods have as brief a shelf life of hipster respectability as dessert. Craving a cupcake or cake pop? Those in the vanguard will probably give you a pitying shrug. 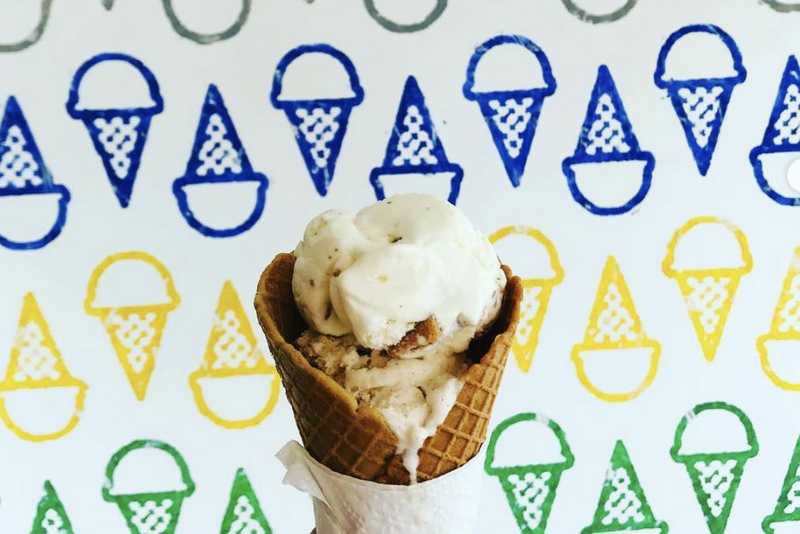 The same Instagram-happy sweet lovers would also probably point you to Houston's Chinatown as the destination for the most of-the-moment sweets, whether it's rolling ice cream, doughnut-shaped waffles or taiyaki ice cream. Yes, taiyaki ice cream. 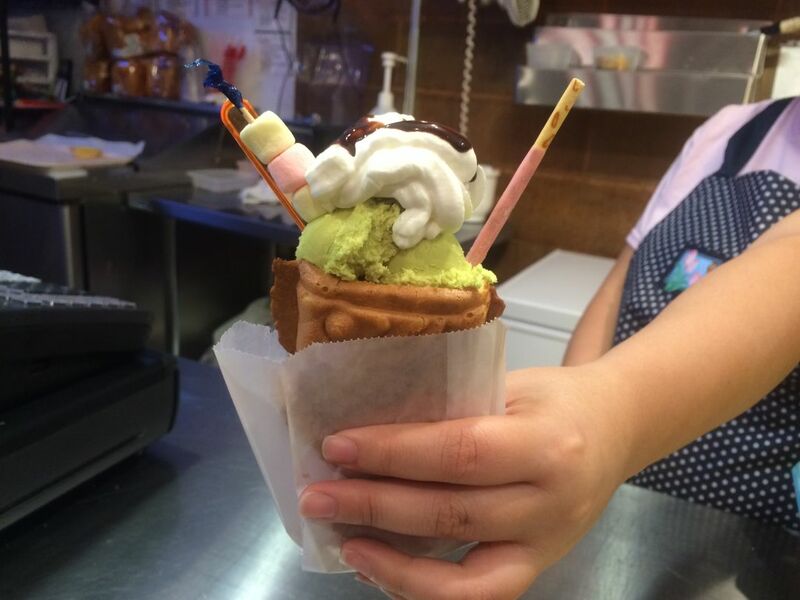 Or more specifically, taiyaki ice cream cones. Fans of Japanese food are likely familiar with the waffle cakes called taiyaki (the name means "baked sea bream") in their hot, fresh-pressed common form, shaped like fish and filled with red bean paste. But a more recent addition to the taiyaki family is an open-mouthed version ready for its mouth to be stuffed with ice cream. 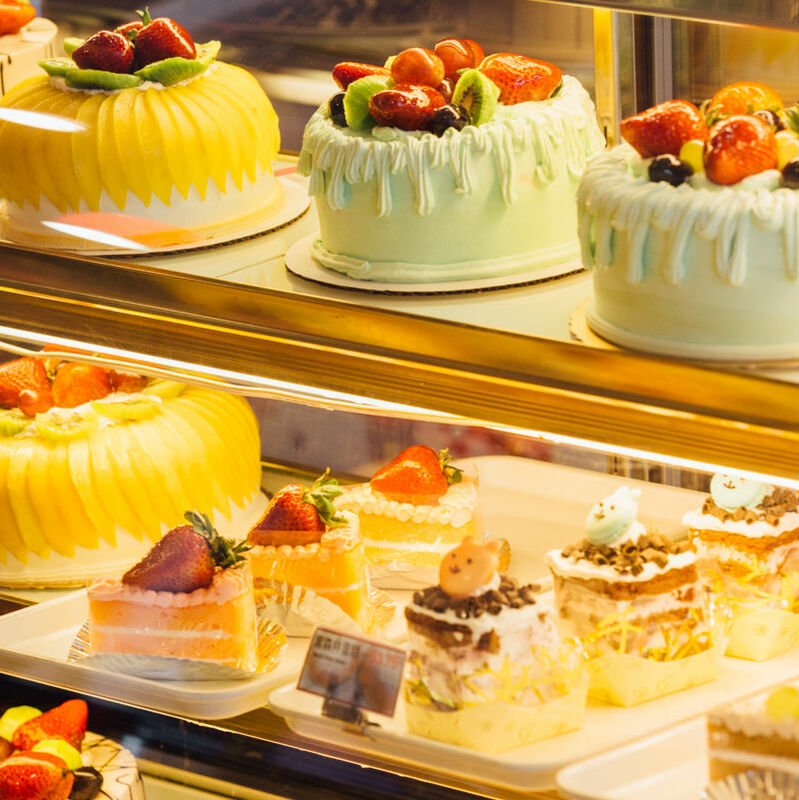 The only place in Houston serving the sugary fusion is Kamalan Bakery in Dun Huang Plaza, already a Houstonia favorite for its airy taro and pandan layer cakes. 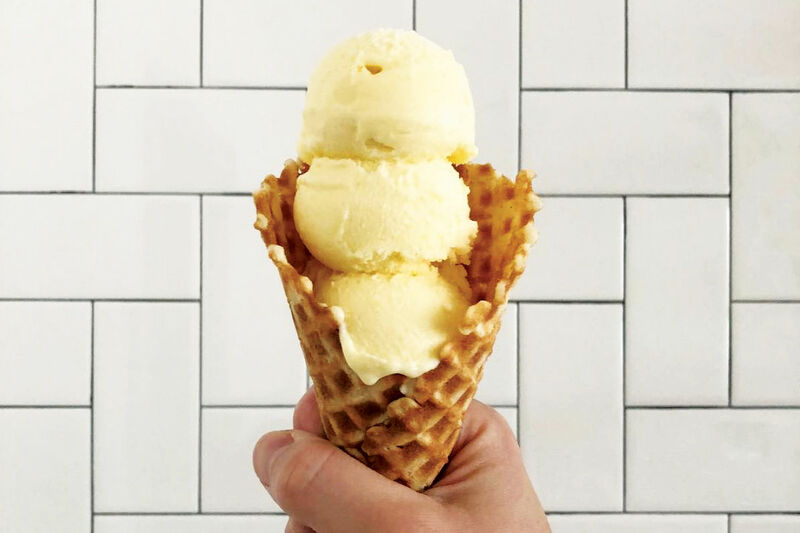 Last night when we stopped in for a taste, there was but one cone left in the case. Usually, there is an option to get the taiyaki filled with either classic red bean or with custard. The counter attendant apologized that the ice cream selection, too, was picked over. We would have ordered ours filled with plum ice cream, but only green tea and red bean remained. Since the cone was red-bean-flavored, we went with a pleasantly sweet green tea. 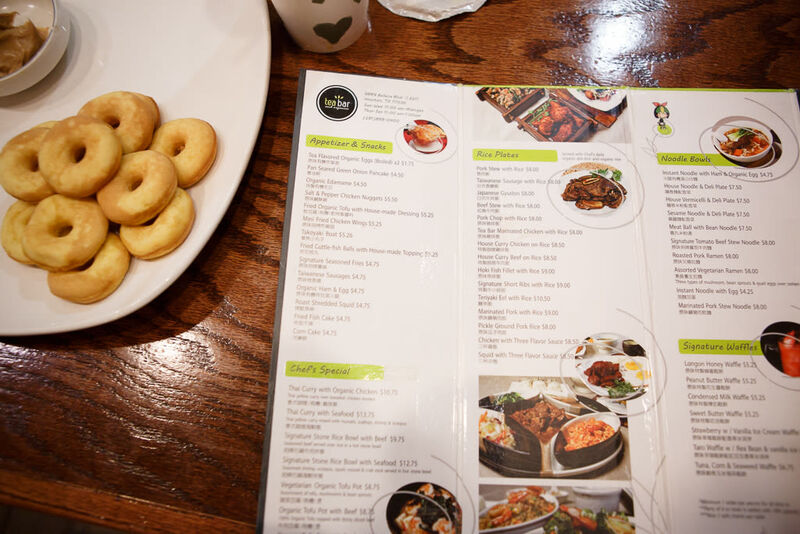 When the staffer presented us with our fish, its gaping maw appeared to be hooked with something—a stick of strawberry Pocky. A tiny plastic spoon and a toothpick skewering three marshmallows were also tucked in the mouth. The thin upper reaches of the cone were crisp. Halfway down, ice cream gave way to the doughy area filled with red bean. Call us Japanese sweet traditionalists, but honestly, we enjoyed the standard taiyaki half to the one filled with ice cream. The moral: Trends may come and go, but taiyaki is forever. 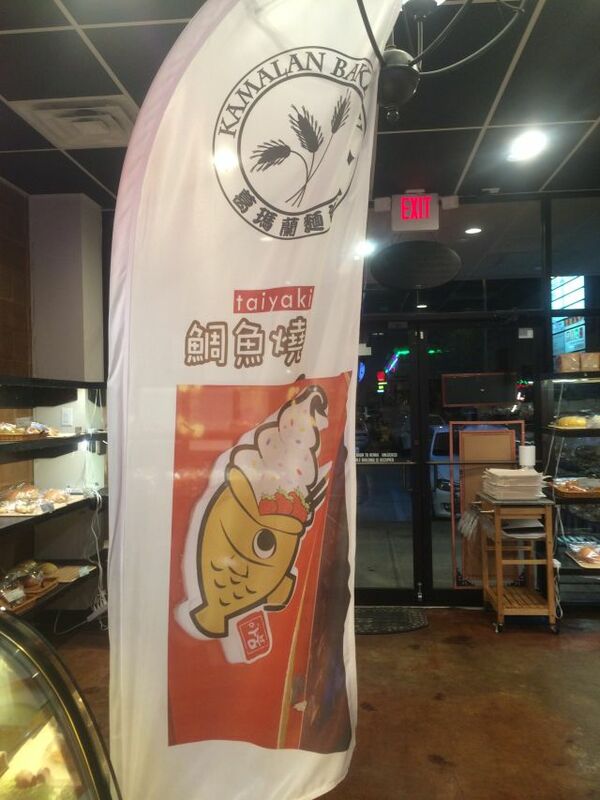 $ Bakeries, Chinese 9889 Bellaire Blvd. Rolling Ice Cream Is Finally Here!